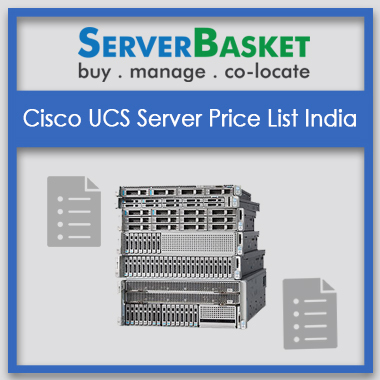 Looking for CISCO UCS server price list online? You will find a clear detail of all CISCO UCS Series Servers in a price list to give a transparent pricing estimation sheet to the customers. Check out our website to get Cisco UCS Server at very affordable prices and fitting your business needs and budget. We present a huge range of Cisco UCS server models on price list with detailed specifications of processors, memory, form factor, RAID levels, expansion slots and many more features, estimation pricing and available special offers. 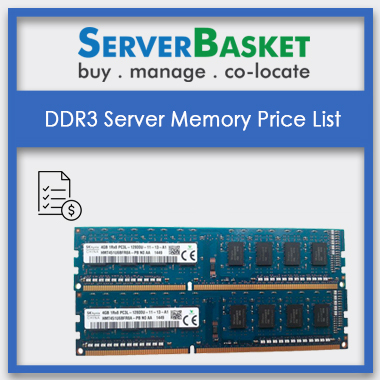 Our price list is comprised of multiple server options like B-Series B200 M5, B480 M5, B260 M4, B420 M4 blade servers and C-Series C125 M5, 220 M5, 220 M4, 240 M5, 240 M4, 480 M5, 460 M4 for easy comparison. 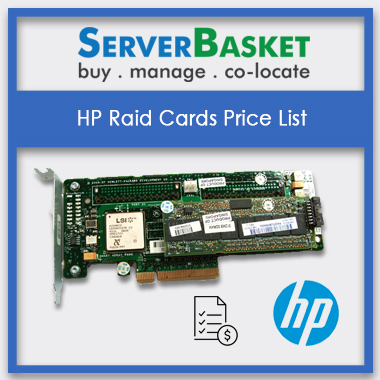 Find a low price UCS Server from the vast collection of high-quality genuine Cisco UCS server pricelist. We promise to offer lowest prices and best deals than authorized Cisco vendor and any other online dealer. 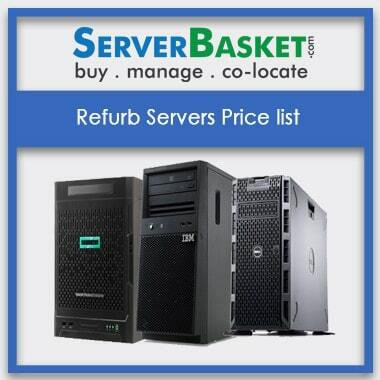 Check out UCS Server price list on our website to compare prices and features of a wide variety of UCS Server series. 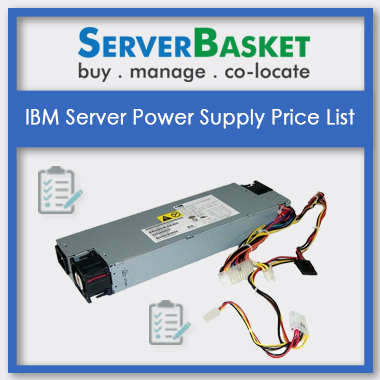 Shop for the unique high-performance server at discount offers from server basket. Our price lists are always beneficial to customers to get to know the best prices, discount offers and grabbing deals. 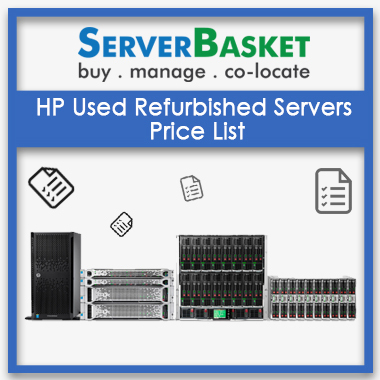 Customers can easily get the estimation prices based on the features and configurations of the server making their pricing comparison easy. We provide an easy comparison of various models on the price list and even with the models from other vendors and show you the transparent pricing sheet. 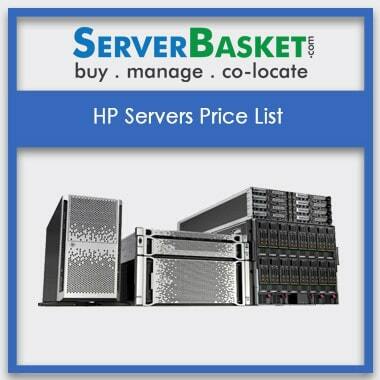 Check out our website to view a price list of UCS servers for easy price calculation. Fastest and safest delivery to any location in India like Delhi, Mumbai, Hyderabad, Pune, Chennai etc. we offer delivery services through a trustworthy courier service, securely packing your server and perfectly reaching to customer location without any damages or missing issues. On time doorstep delivery is quite challenging to most of the online vendors but server basket does it effortlessly. Brand New Cisco UCS C220 M3 Rack Server/ singleIntel® Xeon®E5-2651 V2 (1.80GHz /12-core/30MB/95W) / 16DIMM Slots/ upto 8 SAS/SATA Drives/ 2 PCI Express slots/ 2x 1Gb Ethernet Controller /On Board Soft raid 0,1/16GB Ram/ 1TB Enterprice Cisco -seagate SATA HDD/ single 450 W Power Supply/ 12 months Seller Warranty. Brand New Cisco UCS C220 M4 Rack Server/ with single Intel® Xeon® E5-2620 v4 (2.10 GHz/8-core/20MB/85W)/ 24 DIMM slots/ 16GB DDR4/ Dell 1TB 7.2K RPM 6Gb/s 2.5 SATA HDD Drive bays 1–8 (up to 8 x 2.5-inch drives)/ with Ball Bearing Rail Kit/Dual 650W AC Hot-Plug Dual Power Supply/ 12 Months Seller warranty. Brand New Cisco UCS C240 M4 2U rack Server With Single Intel® Xeon®Processor E5-2609 v4 (1.70 GHz/8-core/20MB/85W)/ Support Up to 2x Intel Xeon Processor E5-2600V3 or E5-2600 v4 processors/ 32Gb DDR4 Memory/ 24 DIMM Slots/ Support upto 1.5TB DDr4 Memory/ 1x 1TB 7.2K RPM HDD Kit Support upto 8 x 2.5" SAS/ SATA/ SSD HDD Bays/ with Ball Bearing Rail Kit / Dual 650W AC Hot-Plug Dual Power Supply/ 12 Months Seller warranty.